A police officer who was one of the first responders to the Pulse nightclub in Orlando during the shooting in June 2016, celebrated as a hero for saving one of the victim’s lives, is being fired. Cpl. 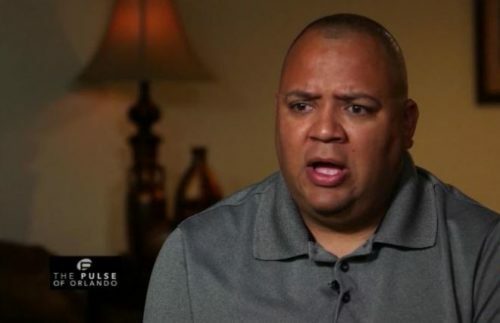 Omar Delgado has been diagnosed with post-traumatic stress disorder (PTSD) after what he saw that night, and was ultimately unable to return to patrol duty. Instead, he had been assigned a desk job. Now, he won’t even be able to keep that, as Town Council voted unanimously Tuesday night to pay him around $1,200, before taxes, in accrued sick leave, and then say goodbye to him for good after December 31. The Orlando Sentinel reports Delgado will be let go six months before he would have qualified for a full pension after serving citizens for 9.5 years. As a result, he will only receive just over 40 percent of his salary, starting in ten years, instead of allowing him to collect over 60 percent of his salary, with benefits, for life. Also, see NBC News report below.